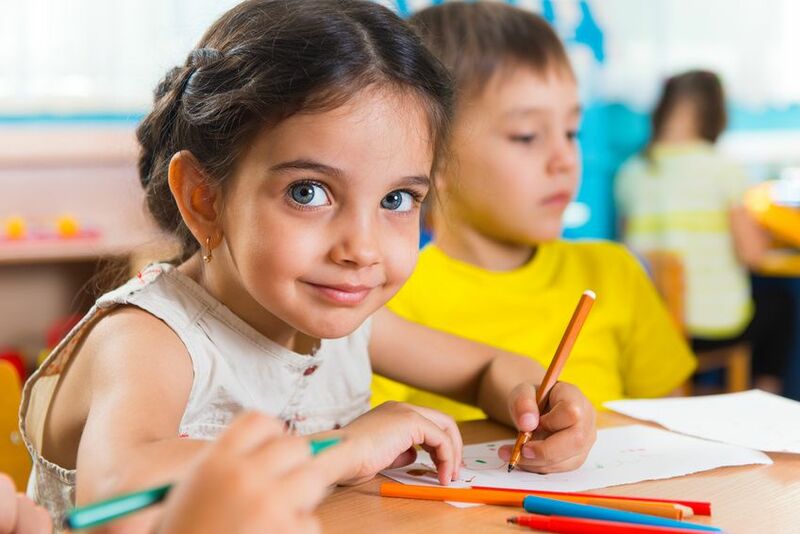 Early childhood education, including day care and preschool, has been shown to help children's emotional, personal, social and economical development. More than two-thirds of four-year-olds and over 40% of three-year-olds were enrolled in preschool in 2005, according to The National Institute for Early Education Research (NIEER). With preschool such a vital part of a child's life, many parents want to be sure their children are getting the best education possible. More and more parents are turning to schools that offer a Montessori curriculum for their child's early elementary education. Maria Montessori developed the first Montessori school in 1907 to serve children with mental disabilities, or those who were economically disadvantaged. There are many factors that distinguish a Montessori elementary education from a traditional elementary school. Special educational materials and the absence of grades and tests are the most obvious. Because of the environment of multi-age classrooms, Montessori children benefit from a collaborative environment with student mentors. Receiving individual and small group instruction in academic and social skills, students are then allowed to work on the topic of their choice in long time blocks, giving them the opportunity to work things out on their own terms. Keeping music in schools is not a major concern for Montessori students, as using music to teach other subjects is part of the Montessori curriculum. Studies have shown that it is easier to remember new information (such as vocabulary, phone numbers, and days of the week) set to music than when the information is presented without music. It's not just for elementary students, either. Students learning by the preschool Montessori curriculum learn about hue and value by mixing paint colors, and learn a sense of cause and effect by drawing rain clouds. A study comparing students from a public inner-city Montessori school to those from a traditional school found that Montessori children had better academic and social skills. Students who received a Montessori education demonstrated a greater sense of justice and fairness when tested on their social and behavioral skills. With more than 5,000 schools in the United States using the Montessori method, including 300 public schools, it is obvious that the Montessori method works. With more public private school students learning the Montessori way each year, it seems that it is more than just the next trend in education. Would you send your children to Montessori schools, or do you prefer traditional education? Share your thoughts in the comments!